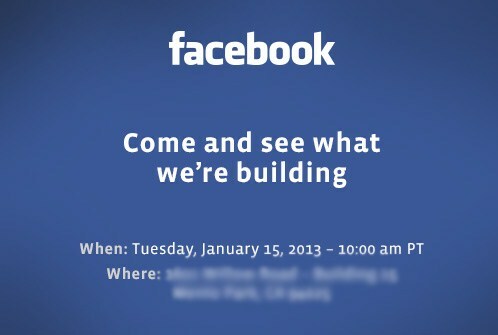 According to Mashable, Facebook has announced a press event on January 15th. With the tagline – “Come and see what we’re building” with no hints as to what it could be. This post will be updated with what this BIG news is! What do you think it is? Let us know in the comments! 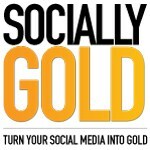 1.15.13 Facebook announced today that it will allow you to perform searches using it’s social graph. You can connect with friends over common interests, music, locations and more, much more. What does this mean for your privacy settings? The same information will be available like it always has been, but it will be much easier to search. I signed up for the beta test and will be notified when it is available. Still unclear what the Graph Search is? Check out the below video from Facebook. It looks like that you will be able to do heavy searches such as “friends who I work with”, but you can also add “who like reading”. This search will bring up those people who have this information listed as public and will not show private info. Graph Search will change the way you interact with friends and change the way you use Facebook for years to come.